We are saddened to announce to family and friends the sudden passing of our son, husband, father and brother, Terrance David Lowdon on June 12th, 2018. Terry was predeceased by his father Bob and step-father Ken. Terry was born on March 5, 1963 to Robert (Bob) and Lois Lowdon of Oakville, MB. He was the youngest of the family of one girl and three boys. Terry was born with running shoes on to keep up to everyone. Terry and Lori Wiens were united in marriage on May 17, 1985 in Portage la Prairie. They welcomed David on March 22, 1988. Terry enjoyed hunting, his fishing at Westbourne and had a mechanical interest in motors and cars. Working on vehicles kept him very busy. Terry worked for the City of Portage la Prairie retiring from there in 2015. 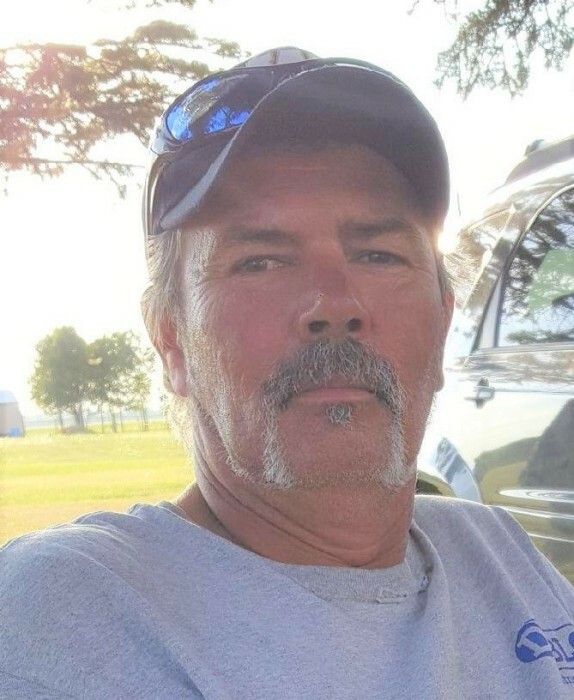 He was currently working for Prairie Feedlot Cleaners at the time of his passing. Terry was a huge fan of the Blue Bombers and the Winnipeg Jets. He will be sorely missed by his hunting & fishing buddies and his co-workers. Also, his other love; his pets. Terry leaves to passing his wife Lori and their son David, his mother Lois, sister Gaylene (Guy), brothers; Jaye (Marg), Jim (Sherrie) and their families. Many aunts, uncles, nieces, nephews and cousins. Also surviving are his father and mother-in-law Dennis and Diane Wiens, sisters-in-law; Pam (Grant) and Candace (Ken). Interment service to commence at 1:00 p.m. at the Oakville Cemetery on Tuesday, June 19th, 2018. A Come & Go Celebration in honor of Terry to follow from 2:00 p.m. - 4:00 p.m. at the Oakville Community Hall, Oakville, MB. Terry’s family would like to thank everyone for their condolences, phone calls, gifts of food and friendship. It is very much appreciated.